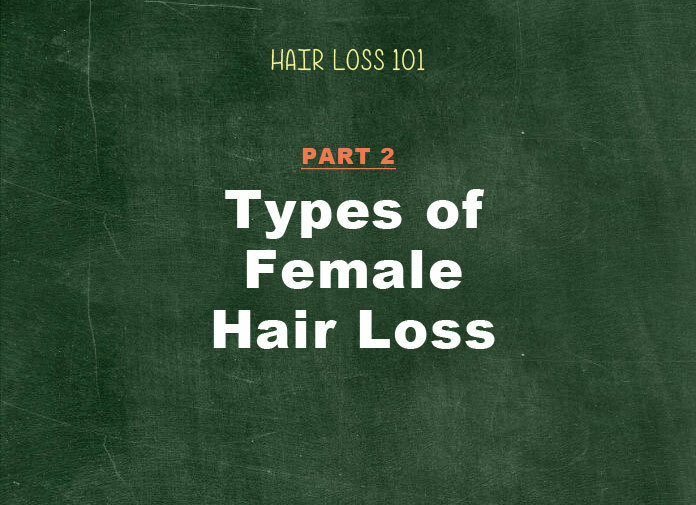 In this article, we will cover each of the different types of hair loss in women. Also known as female pattern hair loss (or “Androgenic” Alopecia), Androgenetic Alopecia (AGA) is the most common hair loss type in both men and women. Up to 40% of women are known to experience AGA in their lifetime. In some cases, it also happens to young women as early as their teenage years. One of the main AGA symptoms in women is diffused thinning all over the scalp, which causes decreased volume in hair strands. While women’s AGA does not lead to total baldness, the scalp usually becomes visible. What causes Androgenetic Alopecia in women? Researchers believe that there are at least several genes in our body that cause AGA, but only one has been identified called Androgens (a precursor to DHT). Androgens are a male hormone that plays an important role with sexual development and regulation of our hair growth cycle. When the androgen hormone increases, it has a negative effect on hair follicles. Excess androgen hormone shortens the hair growth cycle, which in turns results shorter and thinner hair strands on our head. The researchers also mention that hereditary factors play a major role on AGA. As you can see, all of the causes for AGA are mainly due to a hormonal imbalance whether it is temporary or permanent. Telogen Effluvium (TE) refers to an abnormal hair growth cycle. A large amount of hair that was supposed to be in the Anagen or Catagen phases makes a sudden shift to the Telogen (resting) phase. When our hair follicles are in the Telogen phase, they are not receiving any essential nutrition from the dermal papilla any longer, thus causing the hair to fall out from the scalp. Traumatic events to the body such as surgery, chronic or temporary illness, childbirth, extreme diet, or physical or emotional stress are a few primary contributors causing Telogen Effluvium in women. Also an extensive list of oral medications is known to cause TE in both men and women. 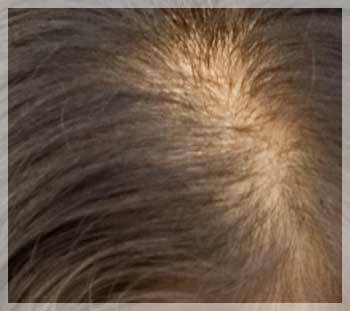 Telogen Effluvium symptoms are similar to Androgenetic Alopecia. Overall diffused thinning is one of the common symptoms of TE in women. According to Dr. Richard Lee on hairlosstalk.com, you can do what is called a “hair-pulling test” at home. 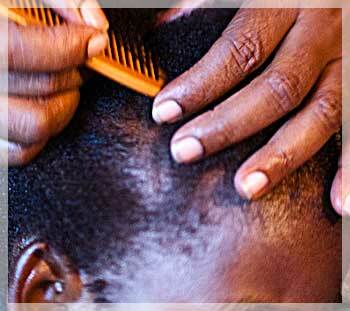 Grab a bunch of hair (approximately 25 to 30 hairs) and do a quick pull on five different areas of the scalp. If each pull shows more than four to five lost hair strands, this is a good indication that you probably have TE (Detailed instructions here). TE can be divided into two types: temporary or chronic. Temporary TE refers to hair shedding that lasts less than six months. This type is caused by events such as childbirth or surgery that cause a temporary hormone imbalance. Experts believe that this is the most common version of people having TE and can be easily reversed. Chronic TE refers to hair loss that lasts more than six months. While researchers still continue searching for the best hair loss treatment for TE, the only topical treatment approved by the FDA for women at the moment is minoxidil (known as Rogaine). How can you tell the difference between Androgenic Alopecia and Telogen Effluvium? Both hair loss patterns for AGA and TE seem to look similar: both cause thinning hair. The first indicator you can use to distinguish between the two is to look back in your own personal history for any traumatic life experience (stress, surgery, etc). If this is the case, it is likely to be temporary Telogen Effluvium and can be easily reversed. The second and best method is to get official blood tests performed by your doctor. The goal is to find out if certain elements in your body are causing your hair loss (we will cover how to find a dermatologist specializing in hair loss in the following series). Anagen Effluivum is often associated with hair loss due to undergoing chemotherapy treatments. Chemotherapy drugs inhibit cell growth activity in order to prevent cancer from spreading to other parts of the body. Unfortunately, this affects your hair cell growth as well. At any given time, 90% of our hair is in the growth (Anagen) phase. During this time, cells in the dermal papilla are rapidly dividing to create new hair follicles. Since chemotherapy drugs put a stop to this, most of your hair as well as eyelashes fall out as a side-effect. 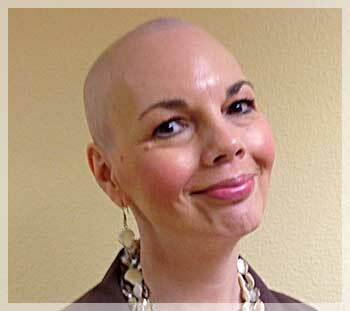 Hair regrowth after chemo treatment: Here is some great news. When chemotherapy treatments are completed, your dermal papilla hair cells start dividing again to create new follicles within two to three weeks. Growing-out hair after chemo may look like fuzzy and soft baby hair in the beginning, but within a year, full regrowth can be expected according to Health.com. Alopecia Areata is one of the types of female hair loss caused by autoimmune disease. The main function of the immune system is to project your body from various diseases and injuries. When you have alopecia areata, your immune system works the opposite way. Instead of providing the proper protection, the immune system attacks the roots of your own hair follicles. This results in symptoms such as patchy hair loss, which is where you lose hair as a clump in one or more specific areas (usually round patches). According to WebMD, 70% of people with Alopecia Areata usually recover within two years. 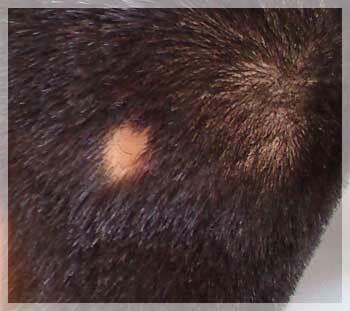 Alopecia Totalis is the extreme version of Alopecia Areata. 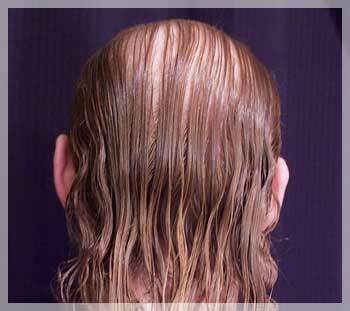 Instead of patchy hair loss, this version causes all of the hair on your scalp to fall out. The main difference between Alopecia Totalis and Alopecia Universalis is that Totalis only affects the scalp area while Universalis affects the hair loss on your entire body. According to Hairlosstalk.com, statistics show that 1 in every 250,000 women suffers from either Alopecia Totalis or universalis. Traction alopecia is caused by certain styles of hair such as tight ponytails, braiding, weaving or hair extensions. These types of hairstyles put a lot of stress on the roots of your hair follicles by constantly pulling them outwards. The good news is that if you avoid excessive hair styling at an early age, it can cure Traction Alopecia by helping hair return to a regrowth stage. However, if you continue damaging hair styles for many years, the roots become weaker and can be damaged permanently. Rogaine for Traction Alopecia is a good topical treatment to try along with daily supplements. Trichotillomania refers to a different type of hair loss from those discussed above. It happens when you form a voluntarily habit of pulling your own hairs. I remember seeing an episode of a TV show called True Life a while ago that featured a lady named Emily with Trichotillomania. She had been pulling her hair out for so many years that it almost became an addiction. Her bald spots were very noticeable and hair growth on some of those balding areas appeared to be completely stopped.